By now, color-coordinated bookshelves are nothing new. 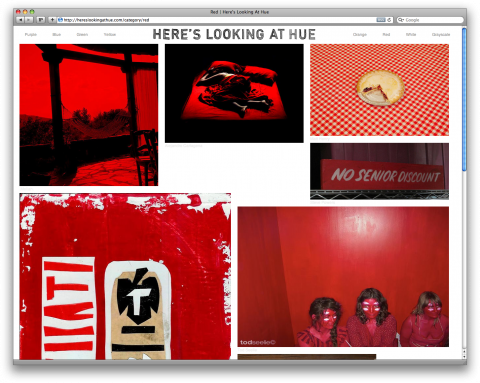 But hey, why not organize your website content by color? Yep, that’s what Here’s Looking at Hue does. Neat idea. 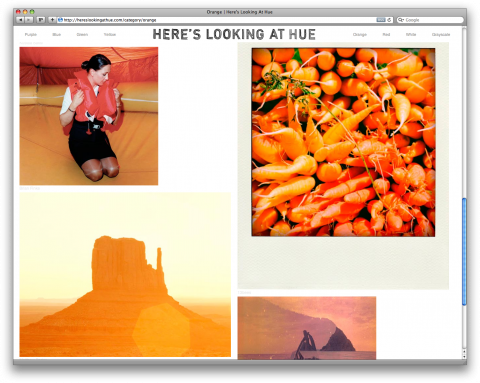 I have an option to look at image by color on my blog. 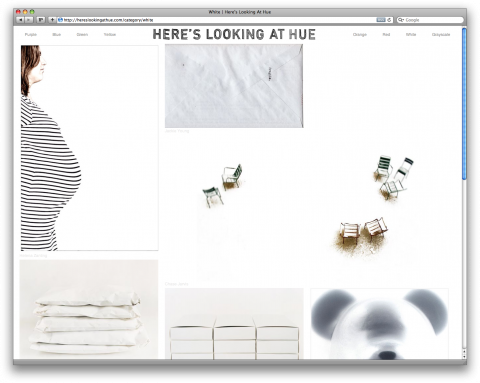 Taking things one hue at a time is such a neat idea, what a great site! I think http://www.pantonism.com the art of matching influences is much better. your thoughts.